So here goes. The first post. Something strange has been happening to our washing out on the line and also to the cars. I have been noticing it over the last few years, but it has now got to epidemic proportions. We are at 850m above sea level and when we talk to others about our ‘little problem’ we are met with blank faces. Our ‘little problem’ is hundreds of little yellow spots (round and long) that appear all over everything. They need to be scraped off with a fingernail but still leave a pollen type waxy residue. Finally realised that it’s bee poo. Perhaps the fact that some local has put about 100 beehives on the track below us might have something to do with it? 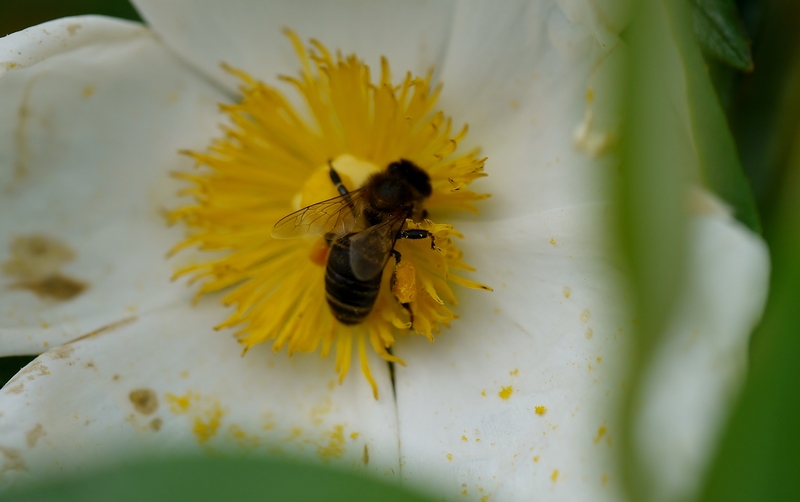 Apparently the bees get either overloaded with pollen and have to jettison it mid flight, or they come across a better quality pollen in which case they still dump the inferior stuff! Here’s some bee poo on the roof of the car today. Lovely to have so many bees around us, but a damned nuisance all the same! Dot said she thought that domestic bees are kept in hives but not allowed out because they won’t be able to find their way back. Gave us a laugh all morning. 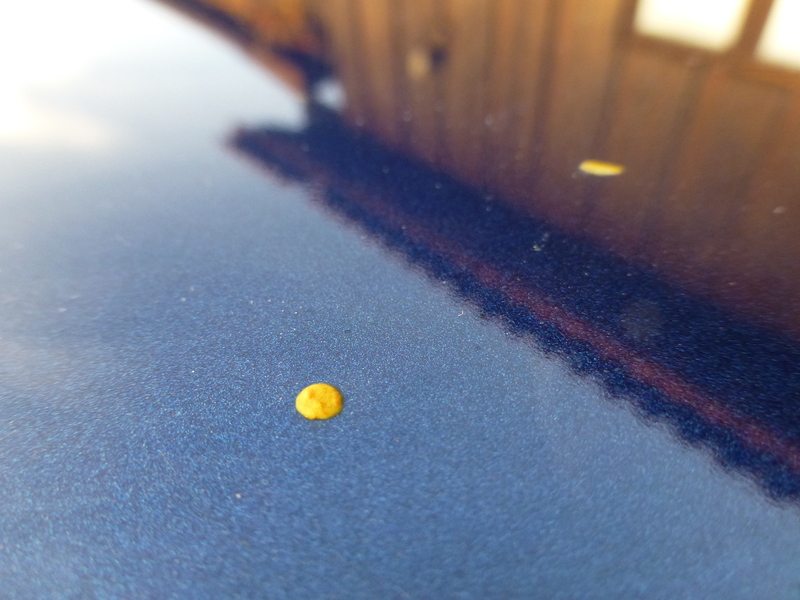 Got any photos of bee poo on car/washing?